New series! 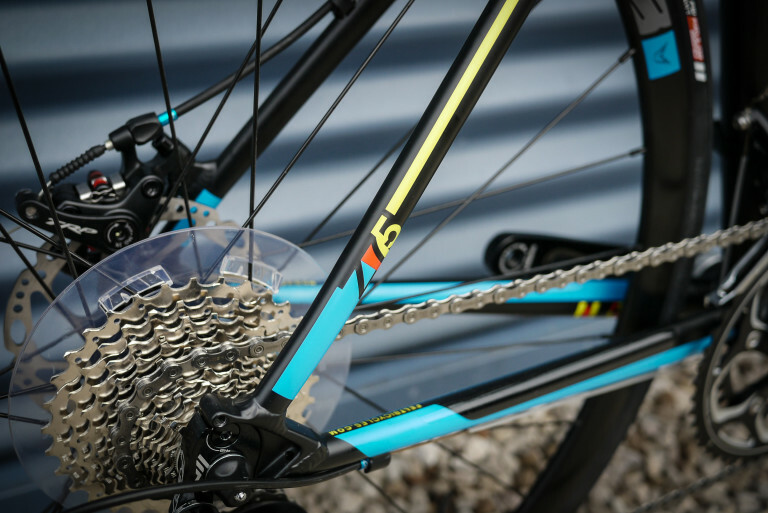 We get loads of new gear arriving here every day. Here’s the first in a series of weekly pick of the pops. We’re always making big efforts to increase our brand range and product choice. So this means we’re always taking delivery of stuff we’ve not before from brands we’ve not stocked before. Winter is with us for a few more weeks yet. And then spring will be here. Which will probably be just as cold and wet as winter, but with a few more hours of daylight. 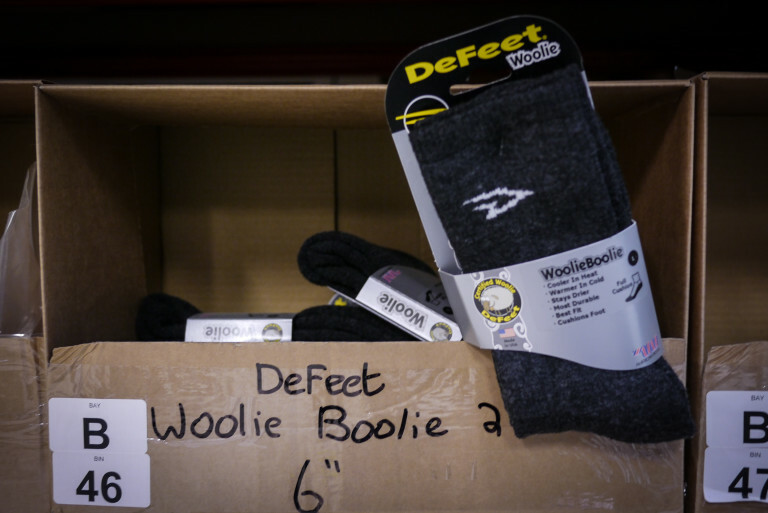 Combat the chill with the World’s Best Wooly socks. Something a bit different from The Big S. These shoes have an athletic outdoorsy vibe to them. ‘Alt-laces’, fancy fabric upper, Vibram sole etc. 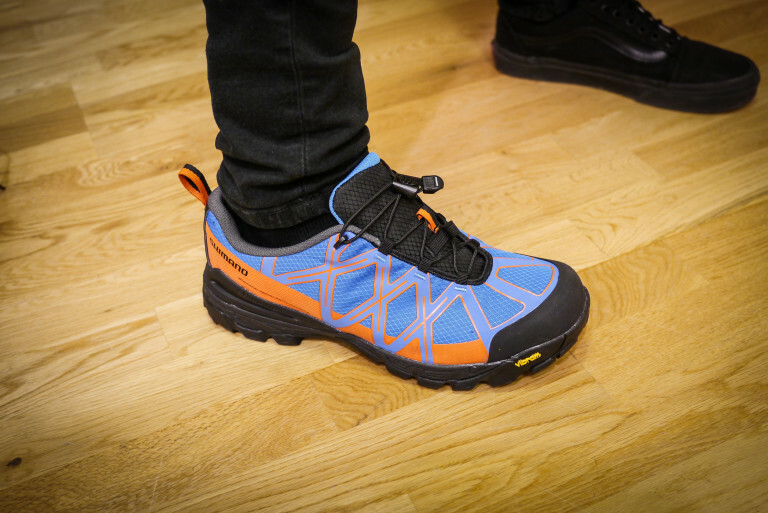 They’re a bit like a modern hiking shoe but they’ve got a cleat fixing on the bottom. More Transitions in at last! Transition Patrols, Suppressors and TransAms. 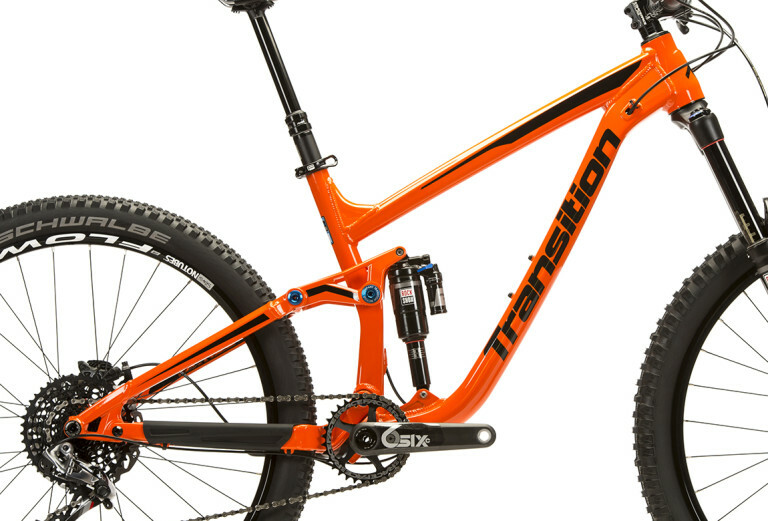 Cutting edge 27.5 enduro machines, 26-ain’t-dead trail rippers and possibly the coolest hardtail on the planet right now (the TransAm 27.5). Exsqueeze me? Did someone say Daft Punk tribute act (Daft Plank?) Oh okay, apparently the visor is optional. Phew. 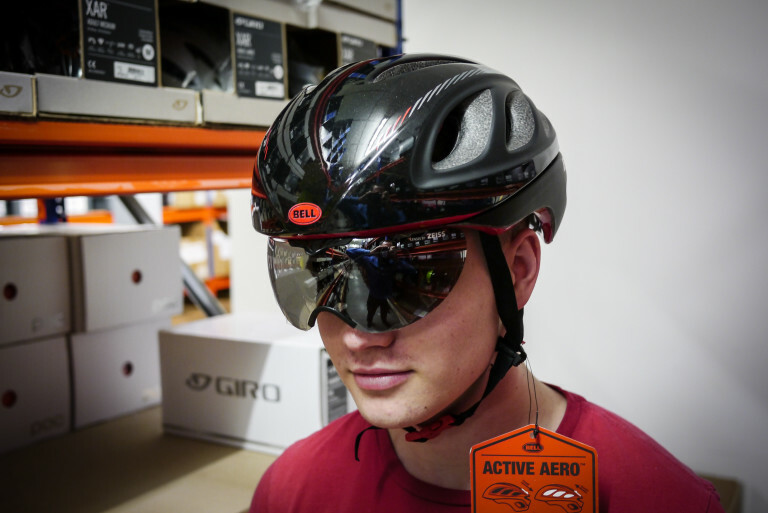 Having said that, some aero-heads will love this hat. Yep, it was worth three pics that wasn’t it? 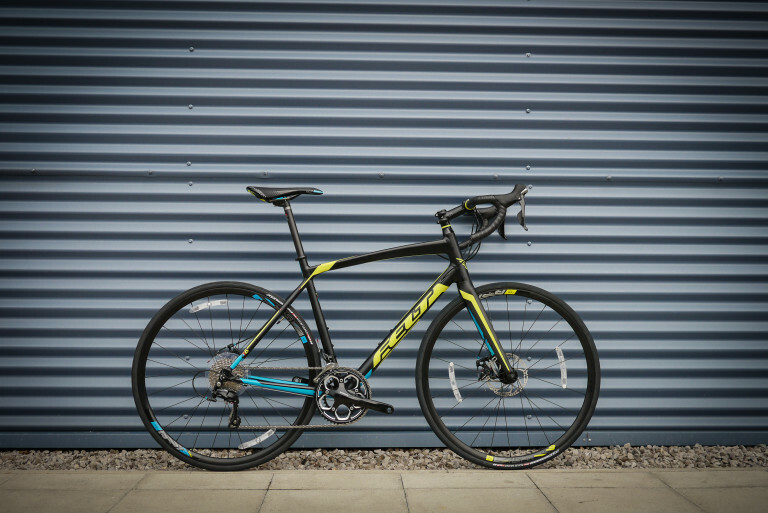 A disc braked road bike for under £1000 with a paintjob like that? 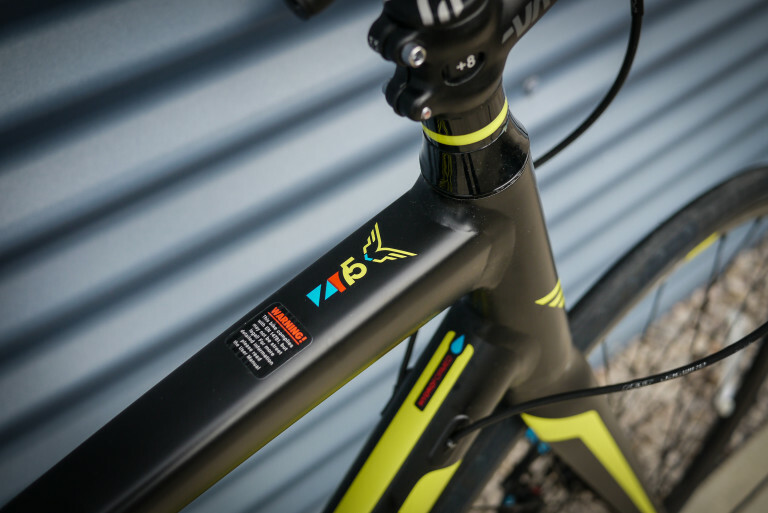 This bike is going to sell out. Fast. Amazing work from the Felt crew. Kudos! We tried to get our lad Kane to destroy this lock with his bare hands. He couldn’t. So it must be amazing. Well, it is a smashing green colour if nothing else. 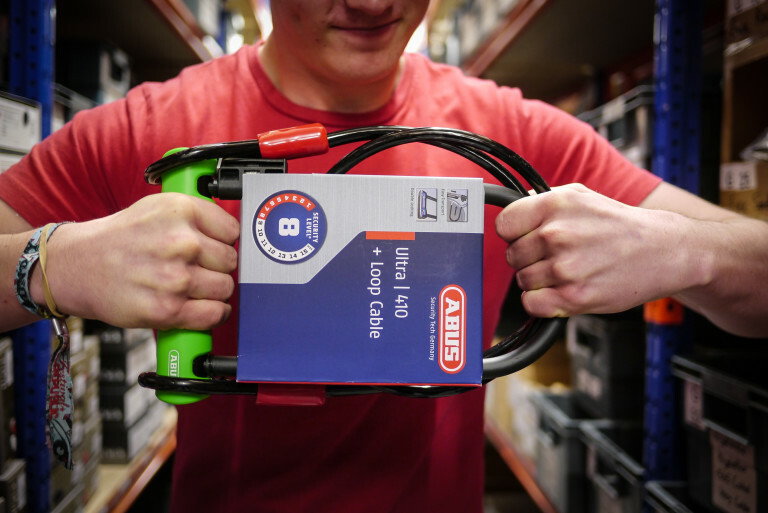 Serously though, no one makes locks as good as Abus. Fact. Put a cork in it. Or rather, put a cork ON it. 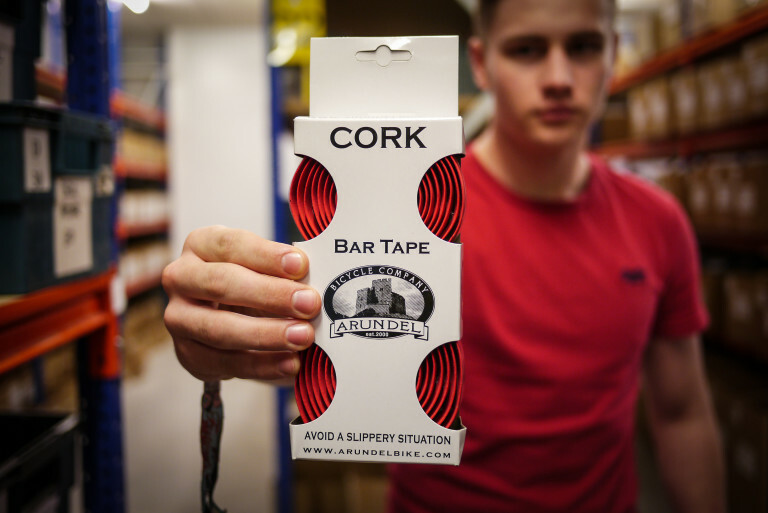 Arundel cork bar tape is the shizz. And we’ve now got hold of some in this magnificent red colour. Do you have massive plates of meat for feet? 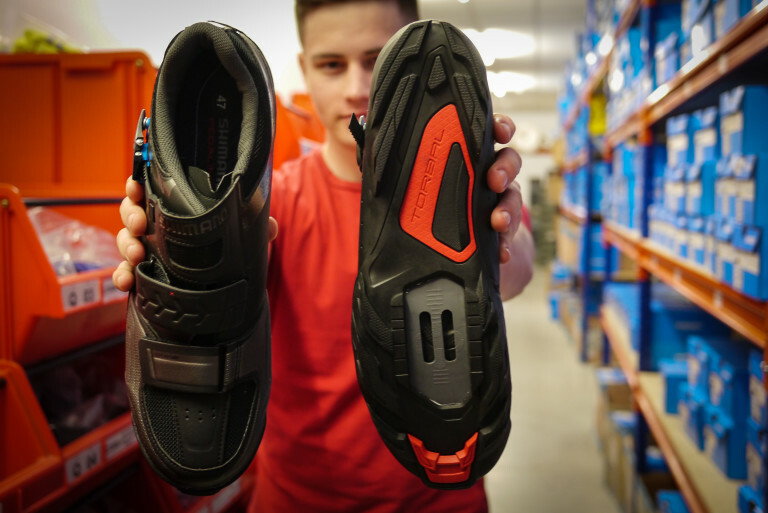 Then you sir may well be interested in the Wide versions of these excellent off-road shoes from Shimano. 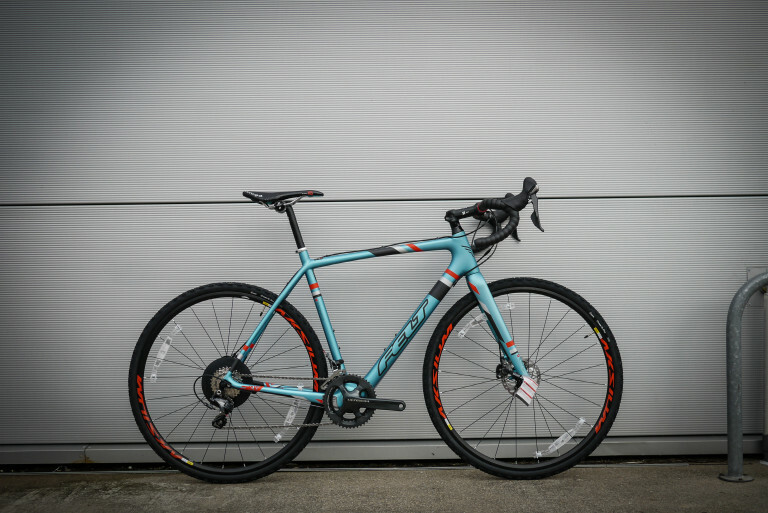 Tagged abus, arundel, bell, campagnolo, cateye, cork bar tape, cyclocross, Defeet, disc road bike, felt, fulcrum, giro, goods in, k-edge, mips, rockshox, Shimano, sidi, transition patrol, transition suppressor, transition transam. Bookmark the permalink.